See the best of Singapore with a Hop-on Hop-off ticket on Big Bus. Grab a seat with the best views on the open-top, double-decker bus and enjoy sightseeing at your own pace. See something interesting? Simply hop off and explore. Return to the same bus stop and hop on to the next bus to continue your tour. Cruise through Singapore and learn about the Lion City. For cultural and ethnic discoveries, visit the 3 ethnic districts of Singapore – Chinatown, Little India, and Kampong Glam (Arab enclave) – where you’ll find pre-World War II conserved shophouses, Buddhist and Hindu temples, and traditional trades and handicrafts. Don’t forget to check out the glamourous and glitzy locations where hit movie Crazy Rich Asians was filmed, like Marina Bay Sands and Gardens by the Bay. Choose a 1-day Classic Ticket and hop-off at any stop to explore Singapore your way. Pick a 2-day Premium Ticket for another day on the bus plus free Walking Tours to Chinatown and Little India. Or go for a 2-day Deluxe Ticket that comes with 2 Walking Tours and a 3-hours guided Night City Tour. Some of the fleet are still awaiting their Big Bus makeover, in the meantime your ticket will be valid on ‘Big Bus Singapore’, ‘Singapore 7’, 'City Sightseeing' and 'Safari Gate' buses. Not wheelchair accessible on Green route, Safari Line 1 and Safari Line 2. 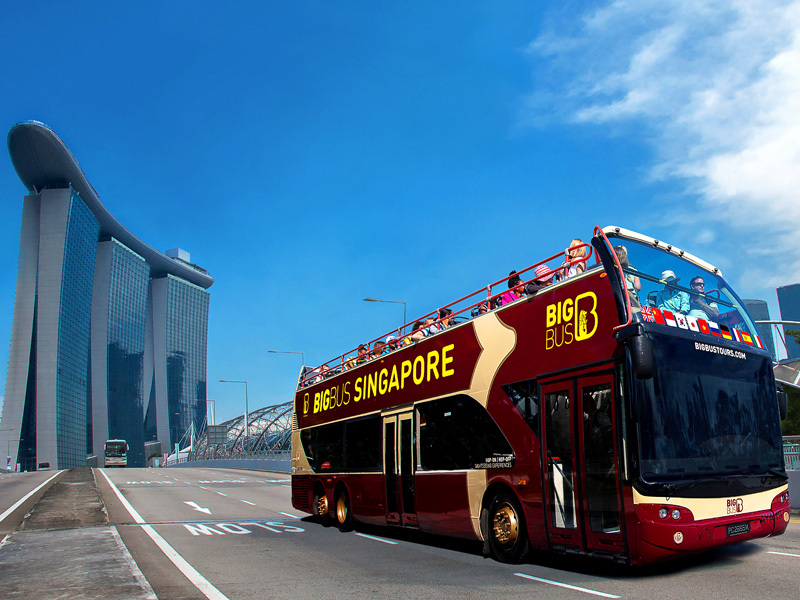 What is the Singapore Big Bus Tours all about? Will we see all the major sights? 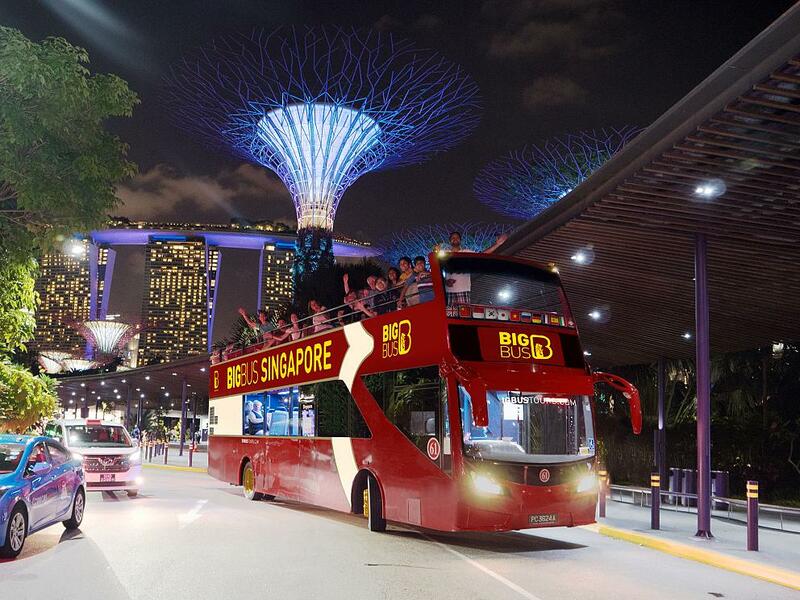 The Singapore Big Bus Tour comprises 5 HoHo Sightseeing Routes and 2 'Safari Gate' Shuttle Routes. Yes - with 7 Routes it's the most comprehensive way to see the most of Singapore, from the spectacular panoramic views atop the Singapore Flyer to the resplendent shopping district to the nooks and crannies of our ethnic precincts. Yes - our Multi-Lingual System offers tourists a choice of 12 languages, namely: English, Chinese, Bahasa Indonesia, Korean, Japanese, Vietnamese, French, German, Russian, Spanish, Italian and Kiddo. Yes, kids get their own commentary too! Will we be able to hop-on and hop-off? Yes - your ticket gives you 24 hrs or 48 hrs unrestricted hop-on hop-off access throughout the day (during bus operation hours) on all 7 Routes. Can we tell which route the bus is plying? How long do I need to wait for a bus? Yes - every bus will display a digital signage and poster on the windscreen indicating the route it is running on. (Yellow, Red, Brown, Blue, Green, ZOO-SAFARI Line 1 and ZOO-SAFARI Line 2). There is a bus available every 15-25 mins on our more popular routes. How do I purchase tickets for Singapore Big Bus Tour? Can we get the tickets on the same day we want to start our tour? Yes - you can purchase them and start your tour anytime. Simply book online via this website or call our guest hotline at (+65) 6338 6877 for bookings and reservations. For collection of your tickets, please head over to our DUCK & HiPPO counter located at Suntec Shopping Mall (#01-330) with your E-Receipt. Alternatively, check with your hotel concierge or call us at +65 6338 6877 for directions to the bus stop nearest to you. Go to the bus stop, flag down the bus and purchase your tickets directly from the Captain onboard(payment in cash only). 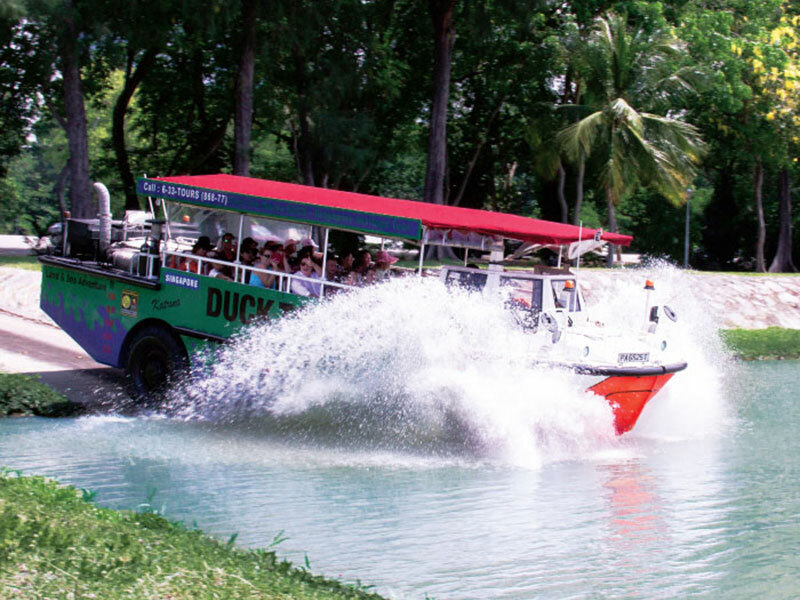 You can also purchase tickets for Singapore 7 Sightseeing at our DUCK & HiPPO counter at Suntec City, Singapore Visitor Centre (orchard gateway@emerald), the Arrival Meeting halls of Changi Airport Terminals 1, 2 and 3. Can I start the Singapore Big Bus Sightseeing tour at any time? You can start touring even at 5 pm, as your ticket is valid for 24 hrs or 48 hrs and will be good till 5 pm the following day or 2 days later respectively. Will we be able to recognise the bus stop? Yes - almost all of the designated stops are at public bus stops, and each has a unique reference number. Please refer to your bus schedule for each bus stops' unique reference number. The touring map also indicates some key buildings around each of the stops for easy reference. No worries - we are just a call away. You can reach us at +65 6338-6877 or Wechat/WhatsApp/Viber/SMS at +65 9321 7400 daily from 9am - 7.00pm. Alternatively, you can go to the Singapore Visitor Centre @ Orchard (Orchard Gateway) for assistance.